Window tinting your home has been a popular aftermarket modification for cars for years and now more people get window tinting in their homes as well. Window tinting in the home can provide privacy and sun protection without reducing your view. Excessive exposure to UV rays can be harmful effects on the skin of the family. UV rays can increase the risk of skin cancer, not to mention, itching dryness and wrinkles. And ‘therefore very important to consider staining your home. Coloration protects 99% of ultraviolet rays! Window tinting can protect against flying glass shards if windows are broken. Shades keep the pieces together, which can prevent injuries that might normally occur without tinted windows. If you are looking for an inexpensive way to reduce their energy bills, window tinting is a great solution. A tint can protect against the sun’s heat, help to maintain the low temperatures inside your home. The more your home is protected from the heat outside the less energy you use to keep your home cool. In winter window tinting helps to keep the heat insides which also reduces your energy bill. Without the shadow of the house, electronics, are at risk of damage to the heat of the sun. In addition, sunlight can ruin your colors, furniture, carpets and curtains, when fading. With a more professional color dialog, you can maintain the aesthetic value of your home, while extending your electrical appliances. It is hard to imagine having a feeling of home without having a sense of intimacy. With window tinting, people will not be able to see inside your house. But you’ll be fine to see the world outside of your home. While polarised window tinting has many useful features, you can add an accent to the overall appearance of your home, without interfering with normal functions of the window for ventilation and light. With an infinite number of shades and colors to choose from, should not be difficult to find a shade that goes well with the look of your home. 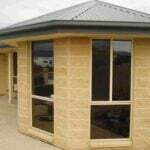 Newcastle Window Tinting are be able to assist you with your home window tinting requirements. Call today for a quote 0400 606 612.